1981年香港上海汇丰银行一佰圆。全1序列号111111ZQ.PMG Uncirculated 62 Net. Previously Mounted.HONG KONG. Hong Kong & Shanghai Banking Corporation. 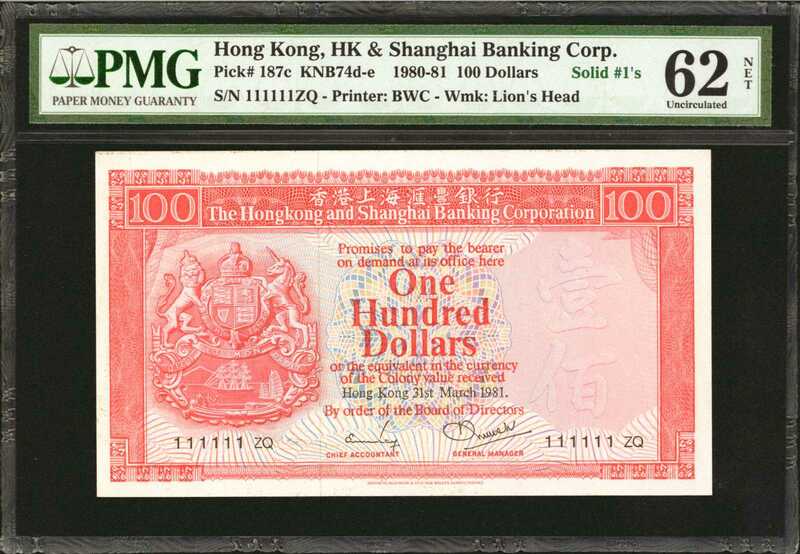 100 Dollars, 1981. P-187c. Solid Serial Number 1. PMG Uncirculated 62 Net. Previously Mounted. (KNB74d-e) Solid digit serial number of 111111ZQ.